If our library does not own the item you need, it can usually be obtained for you from another library through interlibrary loan (ILL). This service is available to Sarah Lawrence College students, faculty and staff only. Alumni and Friends of the Library must use their local public libraries for ILL services. Reserves are materials that faculty ask the library to make available for their students. Reserves are available for hardcopy materials (books, films, and other items housed behind the circulation desk), electronic materials (eBooks, book chapters, and journal articles that the library has posted on a course page in MySLC), and music. The goal of the library instruction program is to teach students to become confident information seekers who understand that research is an iterative process and one that requires persistence and a high-level of critical thinking. Our instruction is designed to be active and engaging, and we partner with faculty to design targeted library instruction for each individual class. We also blend applicable concepts from the ACRL Framework for Information Literacy for Higher Education into our teaching. Wireless access is available throughout the entire library. Please be aware that some areas may have weak signals due to weather and/or obstructions. Devices with wireless cards can access the Sarah Lawrence College wireless network (SLCWLAN) by selecting the network on their device. No registration is necessary. The computer lab is located on the upper level of the library. At times a patron may wish to use a room to work on their research. 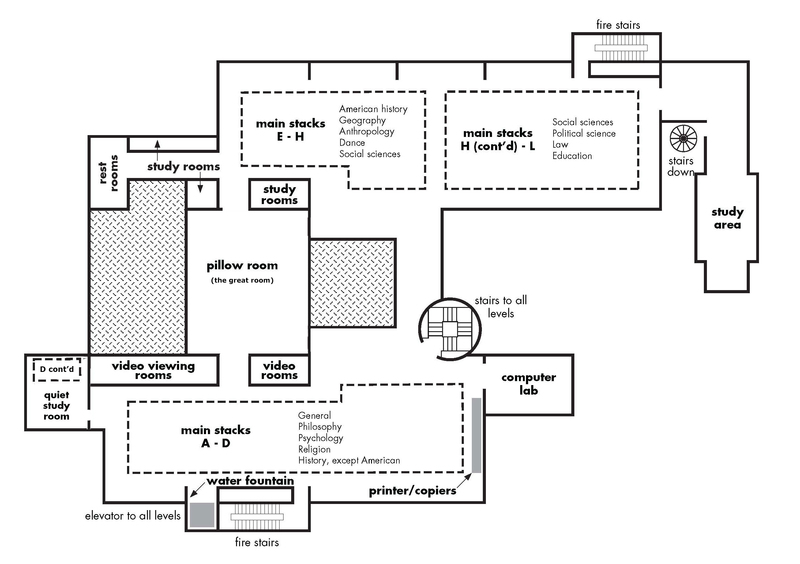 There are a few types of study rooms available to the community. All study rooms are available on a first come, first serve basis. 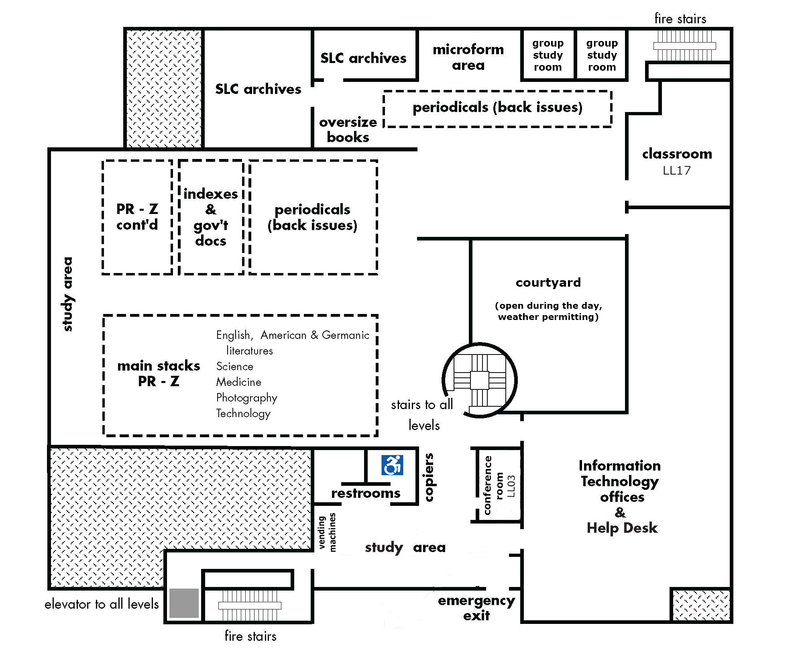 Please refer to the online floor plan or the maps displayed on each floor level. Watch movies on VHS or DVD. Check out remote controls at the Information Desk. Available on the upper level of the library, work on a project on your own in a space of your own. Available on the lower level of the library, a number of group study rooms are available with a large table and chairs. The Library Café, located on the first floor, features local coffee, fresh fruit smoothies, house-made pastries, and healthy snack foods. Monday - Friday: 8:30 a.m.-10 p.m.
Saturday & Sunday: 11 a.m. - 10 p.m.
Payment accepted: 1Card Cash (PDF), cash equivalency, meal-money, cash, and credit cards. 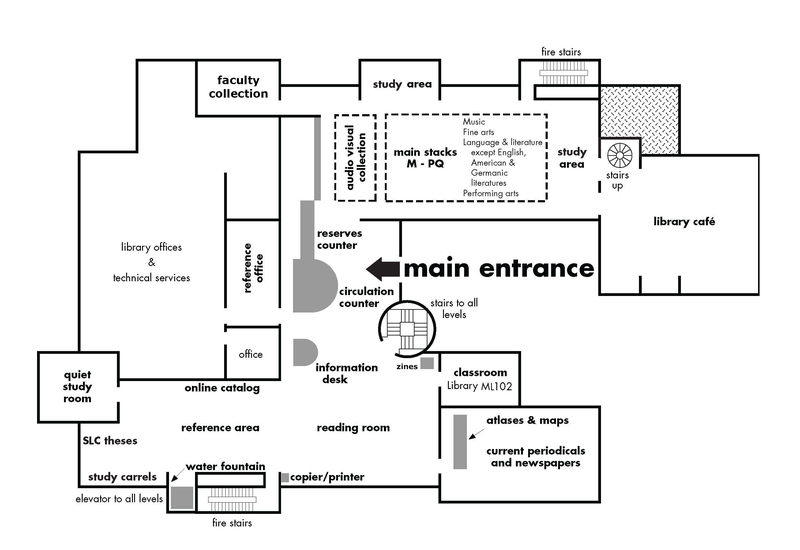 Located in three different locations within the library, patrons can print and photocopy from any of the Ricoh Copier/Printer/Scanner stations using their Sarah Lawrence ID. Please contact the Help Desk if you have questions about copying, printing, and scanning.